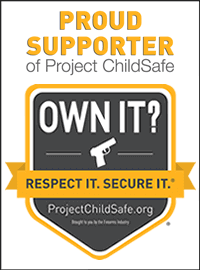 There are hunters and rifle owners out there who are always taking care of their guns and rifles. They spend a good amount of time and money to keep them sparkling new. They don’t even pay attention to their rifle scopes. Cleaning of scopes, taking a good care of them is as important as taking care of the rifle. You don’t have to be ignorant about this! I remember my friend Alex, he spent his life savings just on his dream trip to Africa. Only to find out that his scope lens was shattered when he reached there. I wouldn’t have felt bad, had this happened with me in an afternoon duck hunt, but this is so disappointing and sad. Here’s the thing, I don’t blame Alex or any other average hunter out there. Why? Because it’s not their fault that they don’t clean and take care of their rifle scopes. The modern scopes are robust, built with one piece Aircraft grade Aluminium, and most of them are available at an affordable price hence taking care of a $4000 rifle takes away all the attention. Here’s the deal, either be a man of discipline or just let go and chose to be a victim like Alex. You need to respect your tools, sense of respect is important. Alright, there’s no rose without a thorn and no moon without spots so I’m glad that you’re one of the caring guys. Let’s hop directly into the subject, if you’re looking for rifle scopes lens cleaning procedures, keep reading, and if you’re here to read about how to take care of a rifle scope (along with preventative measures), click here. You can read both as they have been covered in this post. How to Clean a Rifle Scope Lens? To clean a rifle scope lens, you need to take some precautions. Though modern scopes already come with a hard-anodized body which is scratch-proof but when we talk about the lens, treat it just like a lens of your camera. This is the easiest part, yet you need to take some precautions. Use a soft brush that comes with your scope (if you don’t have one, you can get it from a local store or online through Amazon). Gently clean the lens to remove those large dust particles. Now, let’s take those smaller dust particles out. Use a microfiber (the one you clean your eyeglasses with) and gently wipe the lens in a circular motion. This procedure usually cleans the lens completely. 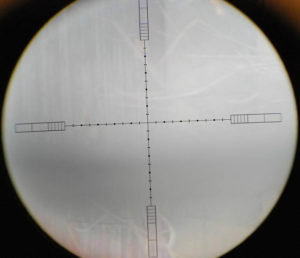 Note: Never use a cleaning solution to clean your scope’s lens if it isn’t graded or suggested by the manufacturing company (I’ve covered about this in the rifle scope care section in this article). Ask the customer support for their recommendations for a scope lens cleaning solution. I have talked more about this in the scope care part. This is simple and removes most of the dust, debris, leaves, and grass from the scope and avoids fingerprints as well (No please, don’t use your mouth!). For this, you can use cotton swabs/ cotton ear buds easily available at homes. Gently roll the bud on the inner edges and voila it’s cleaned! Note: If you don’t have a cotton swab, get a thin stick and wrap it with cotton/wool or the microfiber you used earlier to clean the lens. How To Clean Smudges from the Scope Lens? To clean smudges and water drops, oils from your rifle scope lens, use cotton swabs dipped in acetone or alcohol and gently clean the lens. Don’t use saliva in any way! How to Fix a Cloudy Scope? Do you mean cloudiness on the outside part? Or maybe those dry water spots? If you’d bought a scope of a good brand, most of them come with a water-repellent coating. Simply damp your microfiber cloth a bit (don’t pour the solution on the lens) and clean it gently in circular motion. Use a blower or a fabric to dry. How to Clean Inside of a Rifle Scope? Not Buying a Cheap Scope! Seriously, if you bought a cheap one and now you’re thinking about disassembling the rifle scope, it’s better to get a new and better one. If you open a scope, you’re clearly adding more dust to it. If you’re talking about Leupolds, Nikons or Vortex, then don’t disassemble them. Modern rifle scopes are purged with inert gases (Nitrogen) and then are sealed. This is done to prevent fogging. Opening such a scope isn’t practical. Instead, send your scope to the manufacturer (as most of them come with a lifetime warranty) and they will fix that for you. To be honest, most of us are lazy when it comes to cleaning. We need a quicker and better method to clean the scope lens. So, Lens Pen is to the rescue! 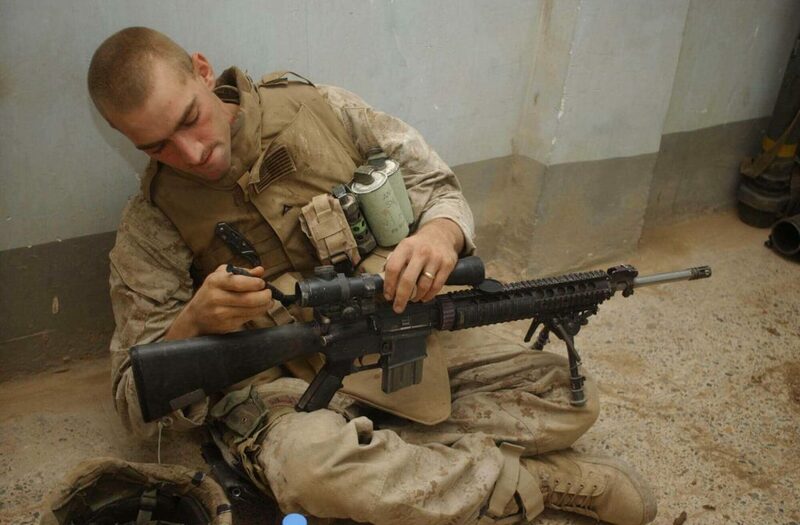 U.S. Marine Corps Lance Cpl. Thomas Cleaning Rifle Scope with a Lens Pen. I got to know about Lens Pen when it arrived with my Trijicon scope. It’s really user-friendly and does what it claims to do. The SECRET to Cleaning Your Optics—The LensPen. If you would like to read instead, I’ll just brief you a bit. Lens Pen contains a soft-haired brush on one side and a suction cup-like cleaner on the other side. Clean the scope with the brush and then use the suction side to clean the smudges or leftover dust particles. The Lens Pen is not a onetime use item, thanks to the pen cap which contains a graphite filled sponge (you should check the video to learn how to use lenspen). How Not to Clean a Rifle Scope and Lens? Don’t try to blow away the dust using your mouth (saliva drops and moisture can be counterproductive). Also, saliva is not graded and recommended optics cleaning product! I have literally seen guys spitting and then “cleaning” off the lens. Don’t rub the lens vigorously as it may scratch the lens surface. Don’t use a cleaning solution not recommended for optics. Never try to disassemble your scope. Use glass cleaning fabric/brush to remove dust. Use a cotton swab to clean the inner edges. For dried water drops, smudges and more resistant dirt, damp the cotton swab or wipes (Kimtech wipes recommended) and clean the optic gently in circular motion. Use compresses air to clean most of the dirt. Contact-free cleaning is the safest method to avoid fingerprints. To get rid of fogginess or dirt inside the scope, send it back to the manufacturer as most of the scopes have a lifetime warranty. How to Clean an Old Scope? It’s totally a different case when it comes to old scopes like scopes from Mossberg and Weaver. If you’re not sure about this, don’t do it. Opening a scope is easy, putting it back properly is a pain. Moreover, you might do more damage than any good to the scope. Once a scope is opened, you will have to open it again some other day. I would suggest sending it to a professional. Compare the price of your scope to the approximate price of fixing and shipping cost for the rifle scope. If it’s worth it, go ahead and if not get a new and a better one. How to Clean a Spotting Scope? The best way to clean a spotting scope is by treating it just like any other optic. You don’t have to use some unknown household cleaning solution. Simply follow the same steps as explained for the rifle scopes earlier or just use Lens Pens (I love them!). How to Take Care of a Rifle Scope? There’s not much to do when it comes to taking care of your rifle scopes. Why? Because as I had already explained, most of the modern scopes come with all the necessary coatings which make the scope scratch-proof and waterproof. Don’t try to use a cleaning solution on your scope’s objective lens. This may destroy the coatings on the lens used to decrease light flares and what not. Use a scope cleaning kit that comes with your scope or use a Lens Pen as suggested above. Make sure to check turret caps and the mounts regularly. They should be tight. 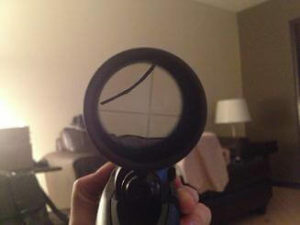 Loose mounts may detach and fall thus damaging your scope. Also, it’s hard to zero a rifle with loose mounts. To avoid movements during recoils, check whether the scope and scope rings are clamped tightly. Not doing so may damage the internal components due to constant recoiling. Moreover, you can’t shoot accurately with such a loose arrangement. Always store your scopes and other rifle optics in a padded wrapping or case. Also, avoid keeping multiple scopes in 1 case, that may cause some serious damage during transportation. While moving, always detach your scope from the rifle, don’t be lazy. It’s better to keep the scope in a good condition than to buy another one. Here’s another thing I’ve noticed a lot among hunters, when not in use, they lean their rifles against a wall, tree or a vehicle. A slight fall might knock off your scope hence causing misalignment and your scope can even lose the zero. The best way is to lay your rifle down to the ground. Clean your scopes regularly, small dust particles are a pain in low light conditions. Always keep a microfiber cloth with you while going out, that’s what you would need most of the time. Don’t use rough cloth or cloth that might leave lint on the scope lens. As said earlier, either use the glass cleaning cloth/ Lens Pen or the cleaning kit that came with your scope. A blow with compressed air can easily remove most of the dust, debris and leaves stuck on the lens. I would say again, contact-free cleaning is the safest cleaning. 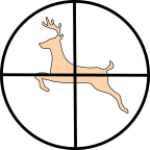 To prevent water drops on your scope while hunting in rain or snow, carry your rifle in a downward position and cover the eyepiece with your arm. For quickly detaching the scope in such weathers you can consider QD mounts (Quick Detachable Mounts). You can also use sunshades and protective covers that cover the lenses. Though they may prevent water from entering the lenses, they also trap the leaves. As suggested earlier, traveling hunters who travel through rough terrains or on horses should keep their scopes in a padded bag or using quick detachable mounts in such scenarios is way better. You can’t avoid accidents. Sudden bumping or mishaps are common while hunting. Though keeping a habit of cleaning your scope regularly and following suggested preventative measures can keep most of the common problems at bay. Also, don’t cheap out. Buy a good quality scope from good brands. Most of them come with a “no explanation lifetime warranty”. Such scopes are available in a budget price and turn out to be a profit in a longer run. I hope this article would’ve cleared most of your doubts about taking care or cleaning your rifle scope. If not, then please contact me or comment down below. Any questions and any suggestions are welcome. Why 308 is the Best for Hunting | Comparing .308 vs .223 and .30-06. Best Scope for 308 in 2019: Ultimate Unbiased Review and Buying Guide. Very informative guide and I have been looking around for getting idea about Rifle cleaning because I am planing to buy one as well. can you able to suggest best brand for me? Great work keep writing . Lenspen is worth giving a shot!